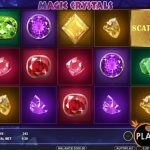 Crystals have long been believed to have magic powers, and this belief is carried over to the graphic-intense, crystal-filled Magic Crystals slot. 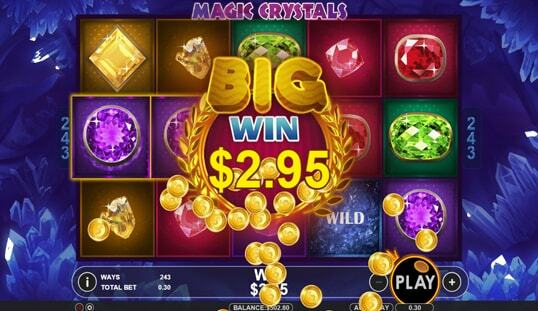 Magic Crystals slot is one of Pragmatic Play’s entries into the increasingly popular 243 “ways to win” division of the slot machine market, which is essentially just having a machine that has an incredible amount of pay lines always active. This has its pros and cons, although it can all come down to how you like the game. This particular game’s theme is crystals and you might fancy it. When you start playing Magic Crystals, you can’t help being impressed by the graphics. The crystal symbols look great and just leap off the screen. Each of the crystals looks unique, with a specific shape and color making them distinct. The background is in a soft blue color and doesn’t hurt the eyes. Magic Crystals’ ambient sound is a trippy synth theme which really gets you into the mood. The crystals chime in tinkles when you hit your combinations. It’s actually relaxing when you’ve put in a few spins. The big wins notify you with a congratulatory peal, letting you know that you’ve definitely won something. 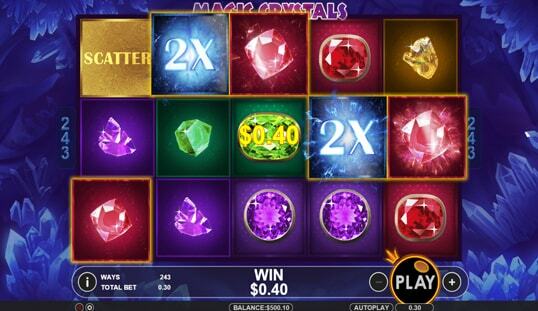 The main feature that the game boasts is the 243 pay lines that it has. With five reels, there are a lot of combinations possible, although all of them have to start from the left. All the symbols need to be adjacent in the reels. The main concern, however, when you play Magic Crystals with Bitcoin is how much exactly you will be betting. With all pay lines active, your bet can increase quickly. The minimum bet is set at 0.3, while the maximum is a whopping 150. That can burn through your bank roll fast, especially if you take advantage of the auto spin option. With all of the money you’re betting, there’s no need to worry about fairness, though. Gaming Laboratories International tests and audits all of Pragmatic Play’s games. This ensures that all games are fair and are working properly. 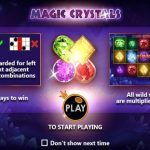 Magic Crystals has no bonus games or mini games. It does have scatter and wild symbols. Obsidian crystals act as wild symbols, and this means that they can substitute for any symbol except for scatters. 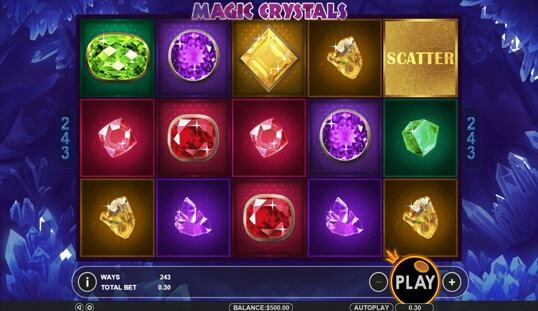 Scatter symbols trigger free spins if you manage to score three or more. 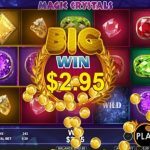 You can gain up to 25 free spins. 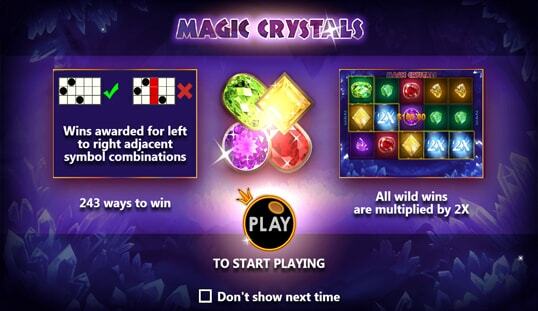 The main reason you’d want to play Magic Crystals is the high chance of winning. With 243 ways to win, it can be quite a tempting game. The great graphics and sound should also impress you. 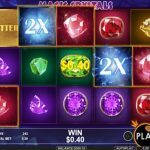 Play Magic Crystals on select casinos online like BetCoin.tm.